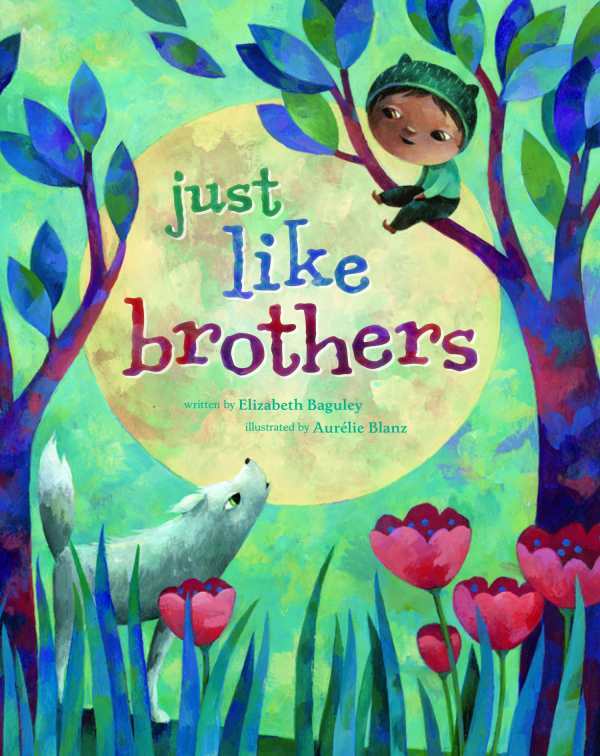 In an enchanting tale of friendship and harmony, a brown-eyed boy and grey-furred wolf get lost in the woods and find each other. Parallel stories meet in the middle. Expressive and lyrical, the narrative alternates between human and animal points of view. The two are poetically similar at times; the child and cub hear, then disregard, reminders from their mothers to beware the dangers of the forest, a whimsically illustrated woodland.